The continuing standoff between China and the Philippines over the Scarborough Shoal is a reminder that ASEAN needs to get its act together sooner rather than later. THE South China Sea, spread over 3.6 million sq km, has long been a hotbed of overlapping bilateral and multilateral territorial claims. China claims “indisputable sovereignty” over three-fourths of the South China Sea, including the Paracel and Spratly group of islands, the Macclesfield Bank and the Scarborough Shoal. Parts of the Spratly islands are also claimed by Brunei, Malaysia, the Philippines and Vietnam. The Paracels are claimed by China and Vietnam while the Scarborough Shoal involves the Philippines and China. What makes these claims significant, and complicated, is the real possibility that the South China Sea may contain some of the world’s most significant deposits of oil and gas. Some estimates suggest that the region may contain as much as 20-30 billion tonnes of oil or 12% of global reserves. Earlier this year, the Philippines invited foreign companies to drill for oil in the Scarborough Shoal area. China immediately condemned the move. The People’s Daily, in an editorial, even went so far as to call for “substantial moves, such as economic sanctions, to counter aggression from the Philippines”. China has repeatedly stated that it wants to settle these conflicting claims through peaceful negotiations. However, it has not been averse to using force when challenged; it forcibly took the Paracels and seven of the Spratly islands from Vietnam following skirmishes in 1974 and 1988, respectively. This stands in contrast to the peaceful resolution of island disputes between Malaysia and Singapore, and Malaysia and Indonesia, through the auspices of the International Court of Justice. Malaysia and Thailand also set a sterling example in 1979 by agreeing to put aside overlapping boundary claims in the Gulf of Thailand and jointly exploiting oil resources there, a win-win situation for both sides. A similar agreement was signed between Malaysia and Vietnam in 1992. Territorial sovereignty can, of course, be a highly emotive issue. Nations often work themselves into a frenzy and go to great lengths to defend a pile of rock, a shoal or a frozen bit of mountain. India and Pakistan, for example, have squared off against each other for more than 20 years over a worthless patch of ice in the Himalayas, 5,700m above sea level. More soldiers have died of harsh weather conditions than actual combat but the madness goes on with no end in sight. In 1996, Asean ministers, recognising the potential for conflict arising from overlapping claims in the South China Sea, agreed to negotiate a regional framework for managing the issue. It has been a difficult process. In 2002, Asean and China managed only a joint declaration committing themselves to the peaceful resolution of their territorial disputes. It has not, however, prevented tense situations from developing as we have seen in the Scarborough Shoal. Understandably, Asean is extremely wary of upsetting China. China has become too big, too powerful, too overwhelming to antagonise. At the same time, Asean is also deeply divided on the question of how to respond to issues that are strictly bilateral in nature or limited to just a few of its members. The Philippines, for example, has long pressed for a tougher Asean position in order to strengthen its hand vis-à-vis China, something that other Asean countries have been reluctant to endorse fearing it will only lead to further confrontation. There is, in fact, a sense within Asean that the Philippines has mismanaged its handling of the issue, a view that is also shared by quite a few Filipino commentators. Now that the United States has signalled its reluctance to be drawn into the dispute, Asean leaders are hoping Manila will reassess its position. Asean needs to realise, however, that its greatest strength in dealing with China or any one else for that matter, on this or any other issue, is its own unity and solidarity. United it stands, divided it falls. All issues that affect regional security, whether bilateral or multilateral in nature, need to be managed together for the good of the whole Asean community. Asean leaders must, therefore, find common purpose to help develop an effective framework to resolve these kinds of disputes. 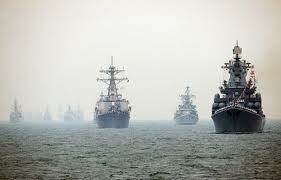 In the end, the options, short of war, in the South China Sea are limited. China and the Asean countries can put aside their competing claims and jointly work to exploit the resources of the South China Sea, as Malaysia and Thailand have done, or resort to international arbitration. The former could well lead to a real zone of peace, cooperation and prosperity and cement the already burgeoning relations between China and the Asean countries. The latter is bound to leave sore losers and a divided region. For China, a win-win solution with Asean will also undercut efforts by other powers to exploit regional fears of China in an attempt to build new alliances aimed at Beijing. Whatever it is, the worst thing Asean and China can do is to let the issue fester.